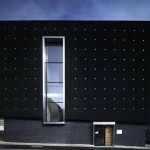 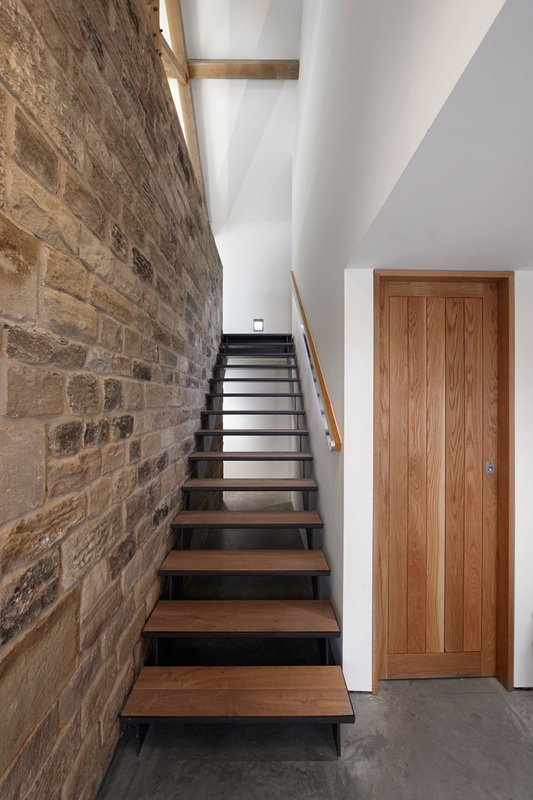 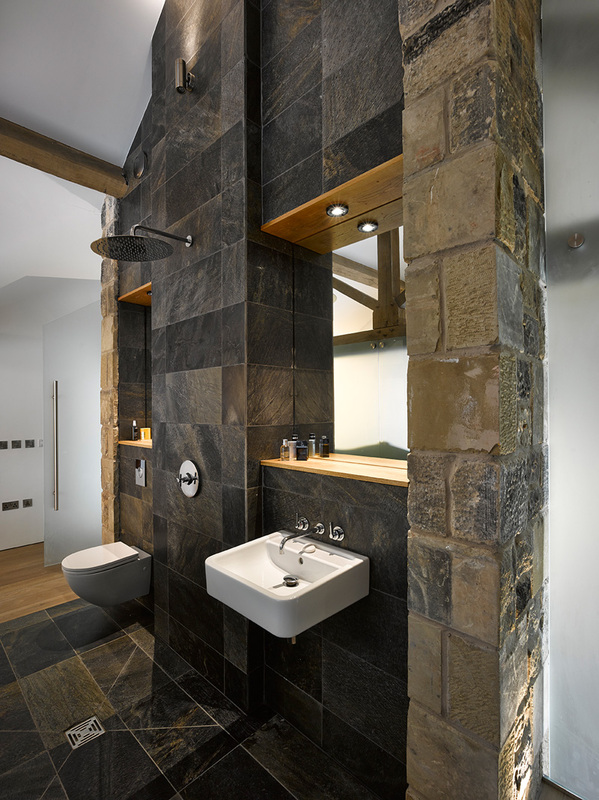 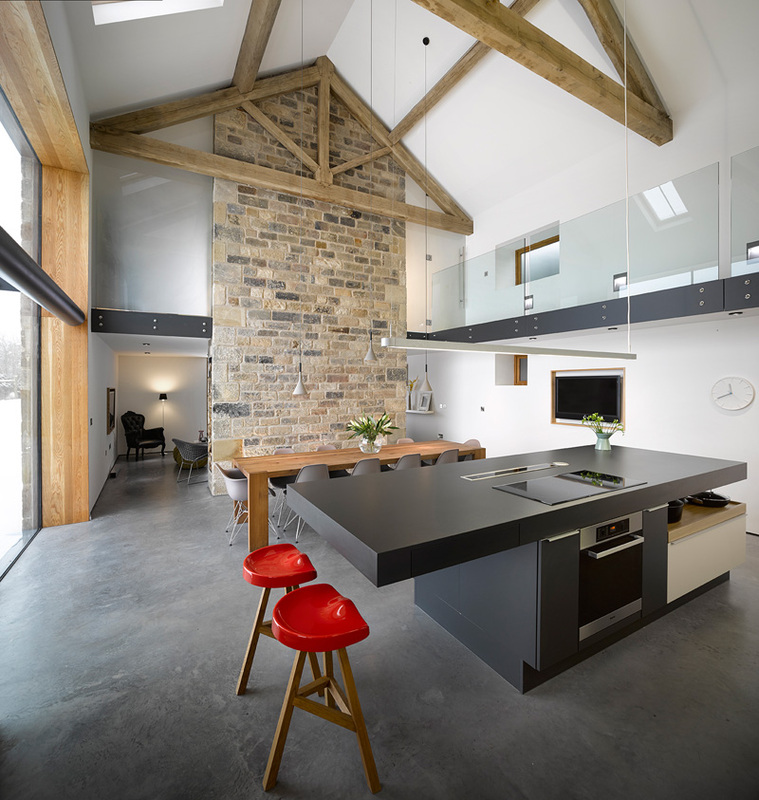 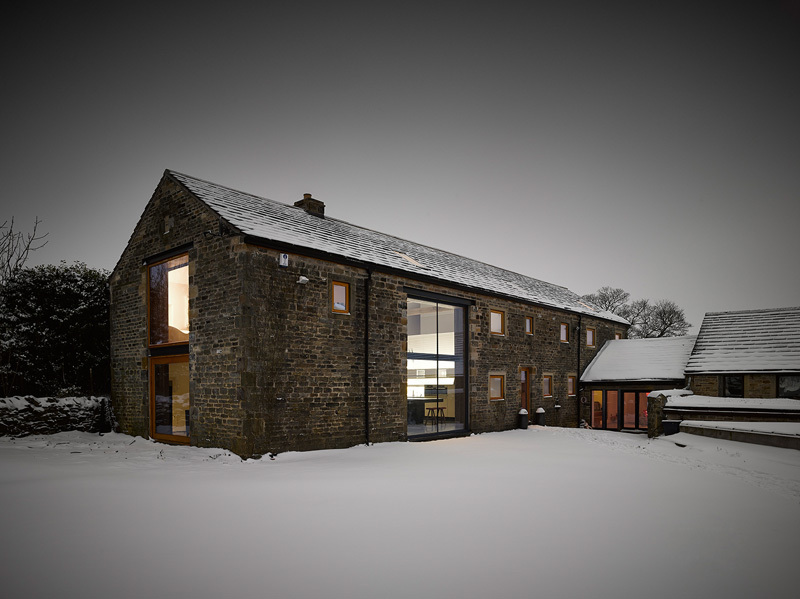 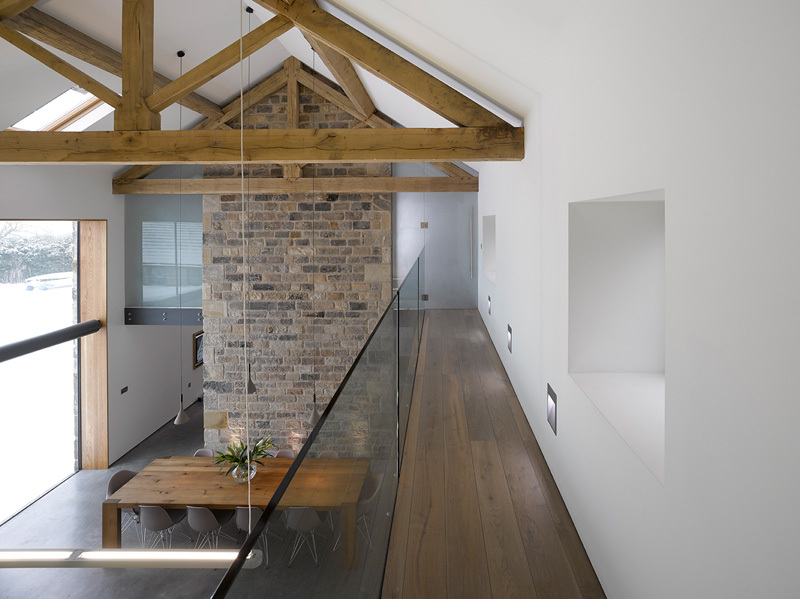 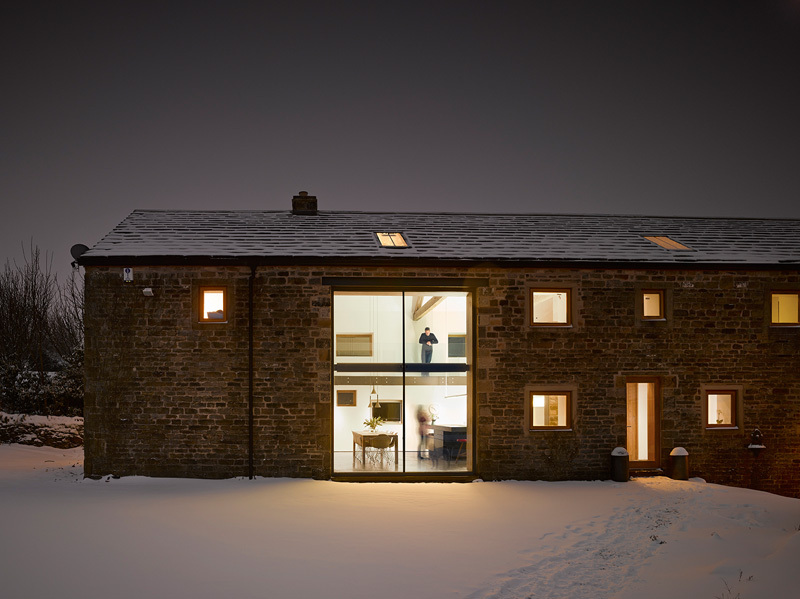 Snook Architects have designed the renovation of a barn, originally built in the late 16th century, transforming it into a contemporary home in Sheffield, England. 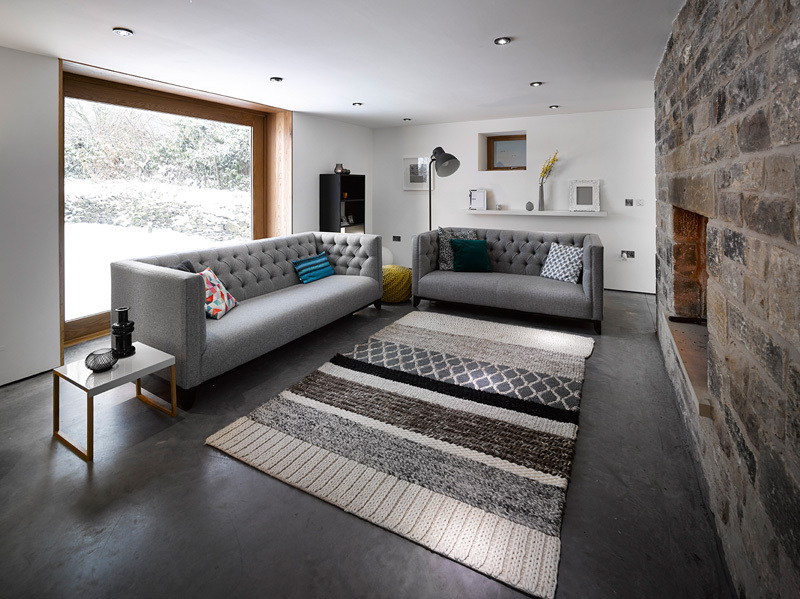 The cozy living room has a large picture window, with views of the outside. 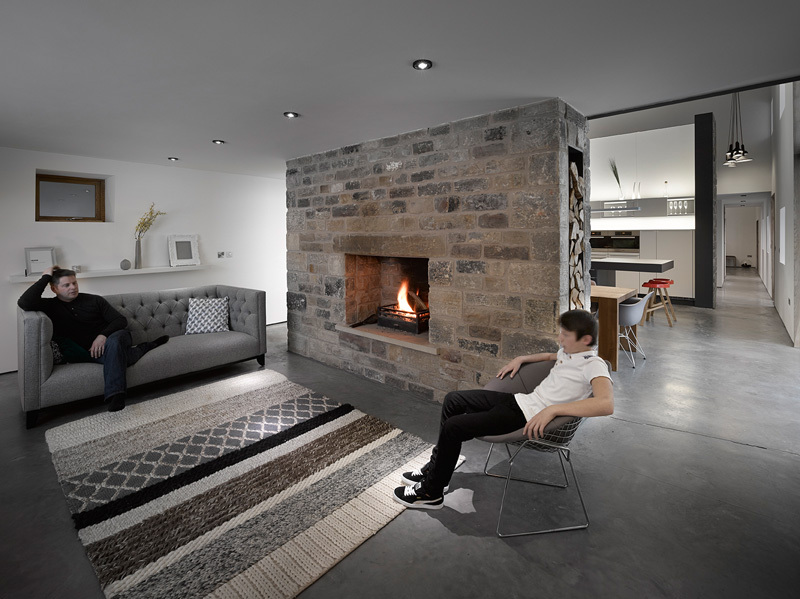 The stone fireplace adds a touch of earthy warmth to the space. 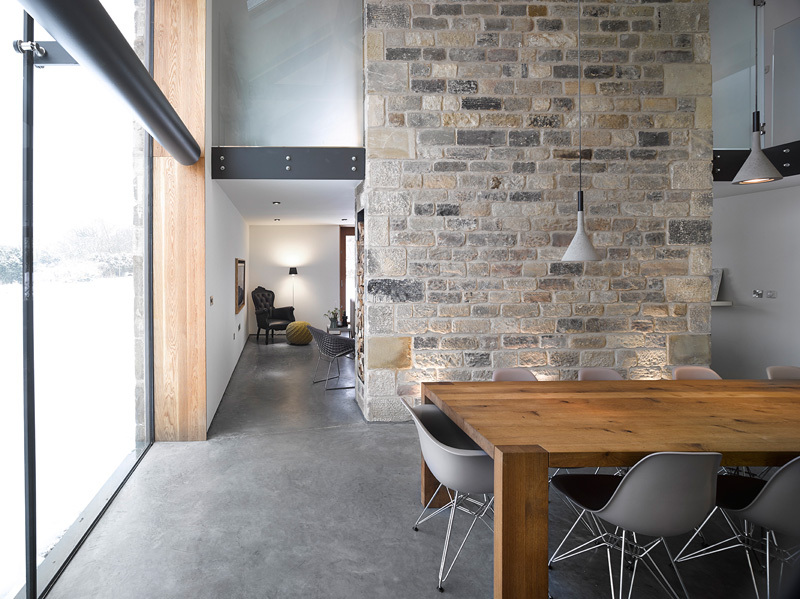 On the other side of the stone wall, is the dining and kitchen area. 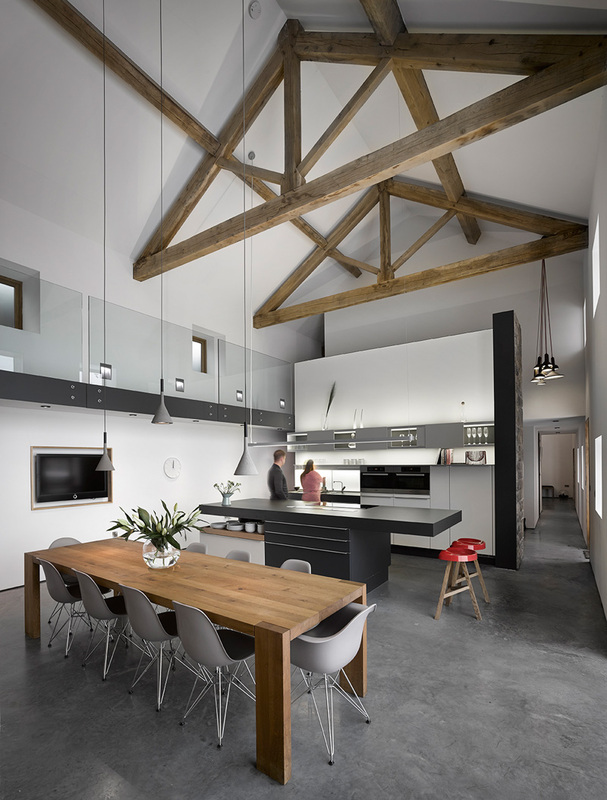 The dining area and kitchen share the open space. 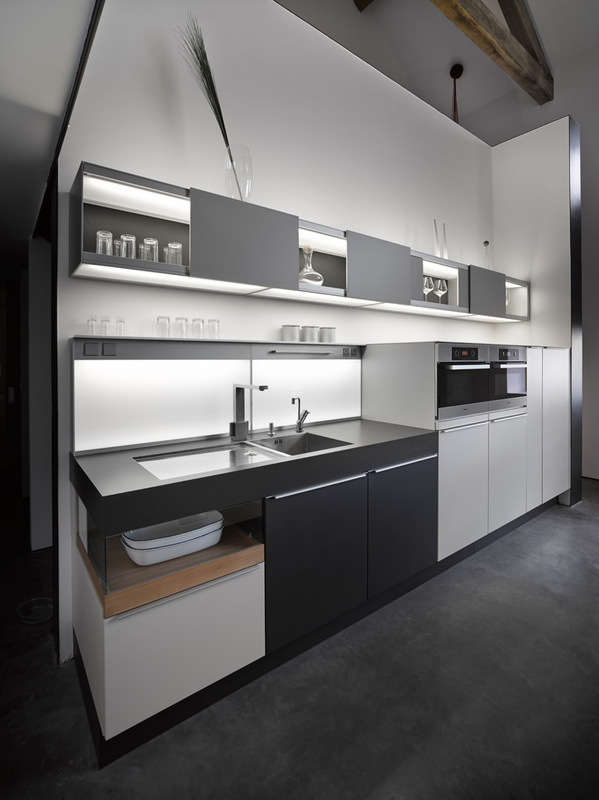 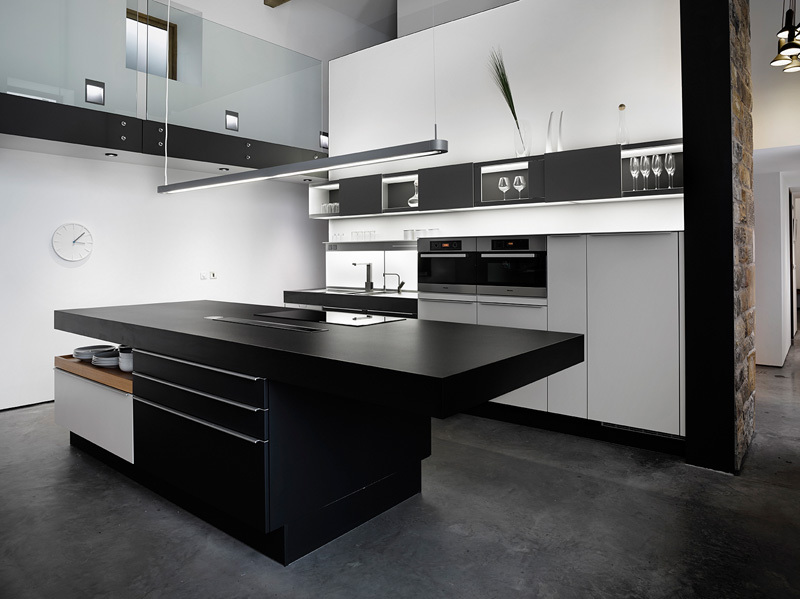 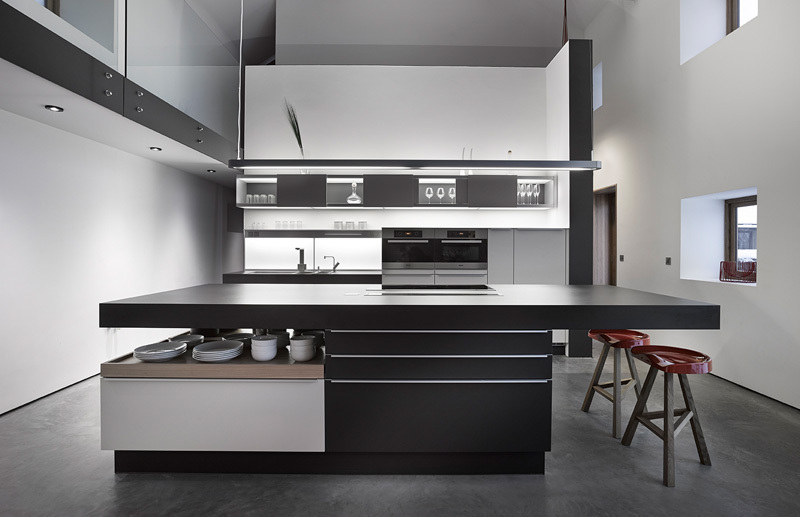 The kitchen is a very a modern contrast from the historical building. 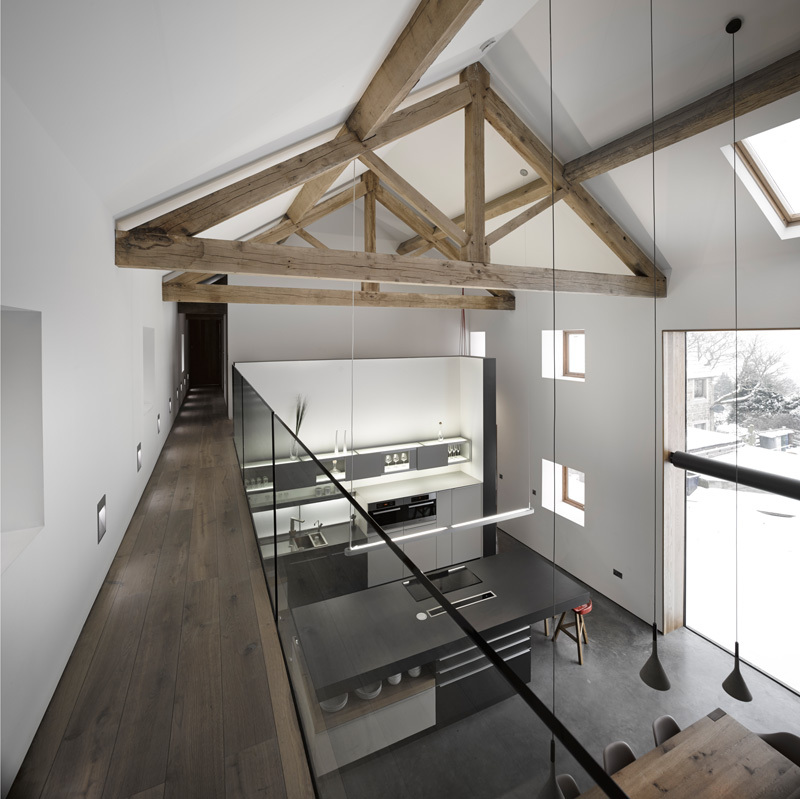 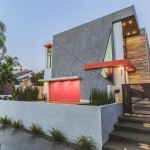 A walkway with a glass railing allows for a view of the kitchen and dining area below. 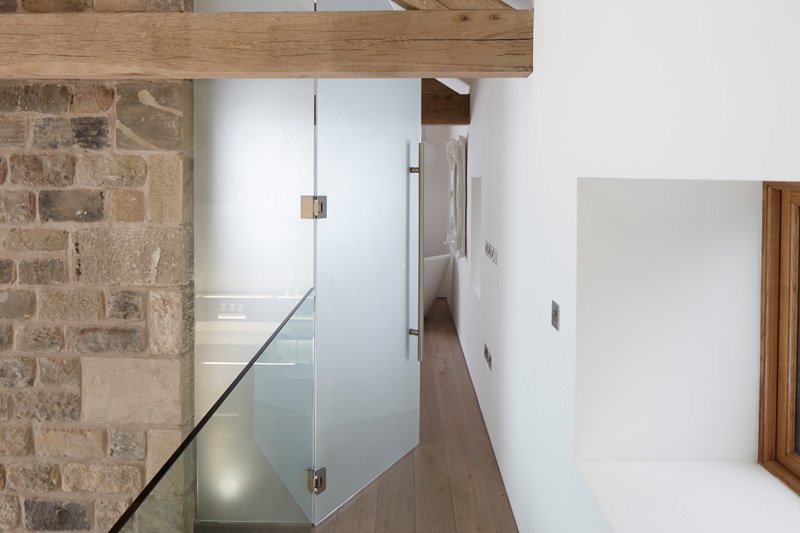 A frosted glass door welcomes you to the bathroom. 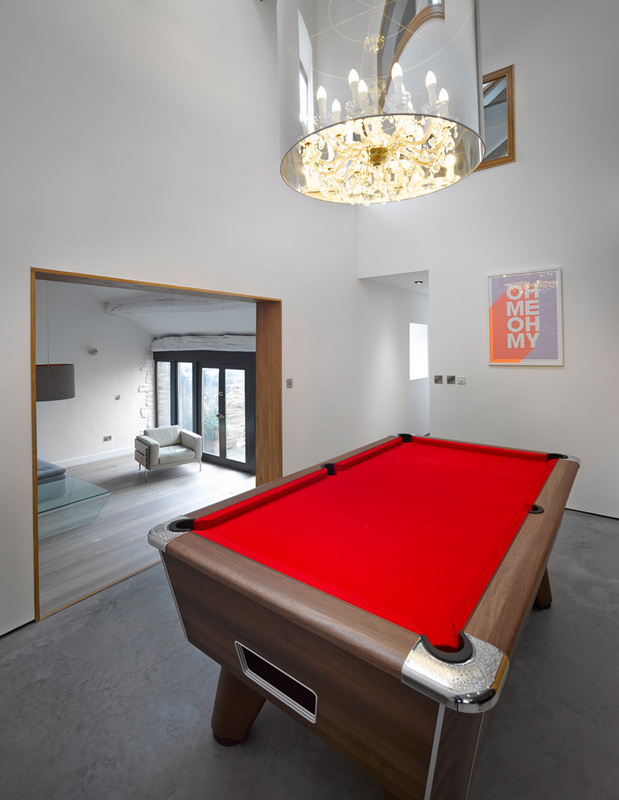 The home also has a games room.